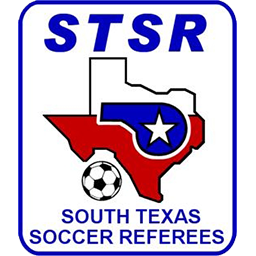 South Texas Soccer Referees (STSR) is the official State Referee Committee for the United States Soccer Referee Program. 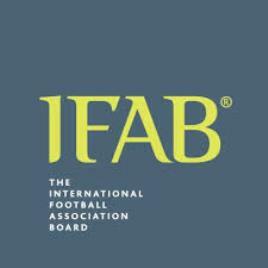 The Committee is responsible for the administration of the Referee Program including Registration, Development and Assignment and serves those associations affiliated with the United States Soccer Federation in South Texas. Follow these easy steps - becoming a certified U.S. Soccer referee has never been easier! Every referee assigned through STSR is certified with U.S Soccer. The registration process allows referees, players, coaches and parents to know that all certified referees are qualifeid, insured and have had a are background check prior to them officiating matches assigned to them by a certified U.S. Soccer Assignor. Registration is easy and can be done in a matter of minutes online. There is a fee for registration so be sure to have a credit card available when registering. Find an entry level clinic or start your registration now. Certification is done through a series of video learning modules, quizzes and a final test - all online - then a 4 hour clinic in person for your final step! 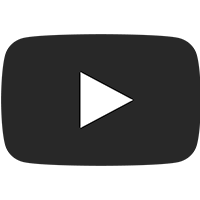 Video modules are short enough to hold your interest and retain knowledge of the content. You can review your modules before taking the final online test. Scores and records are kept by STSR and your account is updated instantly. Find an entry level clinic or start your registration now. 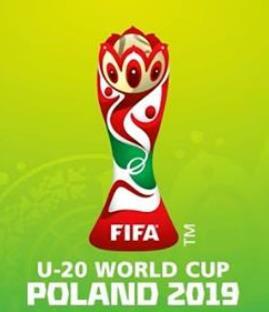 Once STSR verifies your course materials and test score, your results are sent to U.S. Soccer and you will be badged. Assignors will see that you are certified and can begin assigning games to you once you make contact with them. Local assignors provide you officiating opportunities at fields and playing levels you are qualified to officiate. Your assignor knows the level of play and will work with you and other referees to support new referees as they gain experience through working games. Treat every games as a learning experience and you can get more competitive games as you progress. Find an entry level clinic or start your registration now. 3 merit based scholarships will be awarded to high school seniors graduating spring 2019. STSR referee Ismail Elfath has been selected for 2019 U20 World Cup in Poland. 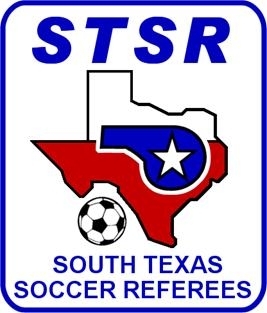 STSR supported the Men’s South Texas State Cup with referees, referee coaches and administrators. The event was held February 2 & 3, 2019 In San Antonio. April 27 & 28 in Houston, Texas. May 4 & 5 in San Antonio, Texas. May 4 & 5 in San Marcos, Texas. May 18 & 19 in San Antonio, Texas. Learn techniques for preparing for the highest level matches. Learn to improve by reflecting on your match. STSR supports in the development of referees across South Texas by provide the best training and growth opportunities for our referees. Find information for referees in this section of the site. The STSR team utilizes referee mentors (instructors, assessors and more) in this key role for referee development. From educational sessions to field evaluations, this position adheres to the educational philosophy of US Soccer. Find information for this area in our referee coach section of the site. Assignors service leagues and tournaments at a variety of competitive levels as well as Identify those officials who are likely to be assigned to higher level appointments. Find out more about our programs in our assignor section of the site. 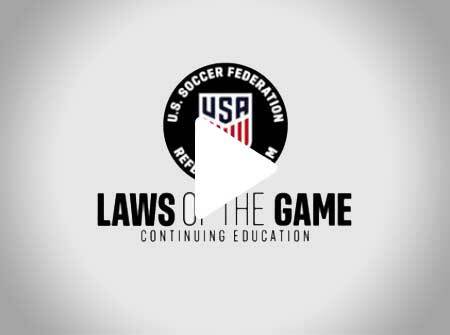 The STSR team works with US Soccer to provide ongoing videos to enhance the knowledge of the referee from information pertaining to law interpretation as well as other aspects of referee training. See these videos in our learning and education section of the site. STSR members are constantly performing both regionally and nationally. In addition, STSR holds events on a regular basis for our referees. Find out more about news and events in these section of the site. The STSR team works with referee mentors (instructors & assessors) and assignors across south Texas to provide the best learning and growth opportunities for our referees. Find out more about our people and programs in our About section of the site. You've done it!! An STSR representative will contact you with your next steps!